Did you know that for every 5 households there is one person who has disabilities? The reality is that 90 percent of them do not go to church. It’s either too hard, churches are not equipped to care for their loved ones, or the church does not welcome them. Central’s doors are being blown wide open to all ages of people with physical and mental disabilities. Special Needs are not limited to physical challenges like using a wheelchair, walker, or braces. Some are invisible to the eye like anxiety, depression, sensory challenges, Autism, ADD, ADHD, and dyslexia, just to name a few. What if my child or I have special needs? We want to say welcome to Central! We have a full team of caring individuals who are ready to help your child, student, or adult participate in our programming. We also have a Special Needs Coordinator on staff to help guide you through our program opportunities. Sunday mornings at 9:00 & 10:45 a.m. In Central Kids we provide Buddies to assist children with special needs to participate in our regular programming and work closely with parents to create a plan that works best for each child. Buddies are trained leaders in special needs. We believe in including all children in our programming but we also offer preschool and elementary Special Needs classrooms as an alternative option. • If possible, please pre-register all of your children online prior to the Sunday of your first visit so we can be ready to welcome you. There will be an opportunity to let us know about your kids’ allergies, abilities, and challenges on the form. Children with special needs and their families are invited to join us for an exclusive time of play on the first Thursday of every month. There will be sensory activities as well as games and activities for those that may be wheelchair bound. Parents are also encouraged to participate with their child in the play structure. This event is not just for children with physical challenges, but for any child affected by with depression, emotional trauma, ADD, ADHD, Autism, Down Syndrome, or any challenge that is considered to be a Special Need. Come and connect with other families as well as our Special Needs team. Free WIFI and snacks are available so bring the entire family for a night of fun and play. Have questions? 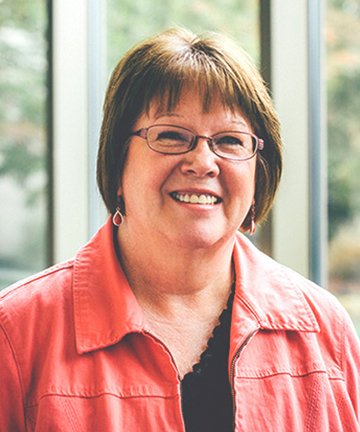 Connect with Debbie Heiser at dheiser@centralwesleyan.org or call 616.395.3084. In our student ministries we value inclusive worship and welcome students with special needs. We understand this might be challenging for your student, but we want you to know we have resources available to help.ministries we value inclusive worship and welcome students with special needs. We understand this might be challenging for your student, but we want you to know we have resources available to help.ministries we value inclusive worship and welcome students with special needs. We understand this might be challenging for your student, but we want you to know we have resources available to help.ministries we value inclusive worship and welcome students with special needs. We understand this might be challenging for your student, but we want you to know we have resources available to help. For Central Students, we provide Buddies to assist students with special needs to participate in our regular programming and work closely with parents to create an individual plan that works best for each student, even if this environment does not work for your child. Buddies are trained leaders in special needs. The Friendship Class is a Community Group for adults with cognitive special needs. We have a loving and supportive team who teach Bible stories, sing, build meaningful relationships, and navigate life’s difficulties. Each Sunday we warmly welcome you with coffee and snacks. Hope to see you in class! We provide an induction loop for hearing aid users on the Main floor. We are looking for several men and women to come alongside children, students and adults. At younger ages, boys need men and girls need women. If you have been considering becoming a buddy to a child, teen, or adult who needs a little extra help participating, pray about whether you are a good fit for that task and how you can help. Your life will become richer than you can ever imagine as you serve God’s most precious children. If you know any families affected by special needs – invite them to Central! We are a generous community and are eagerly inviting families to give church another try. When one person is challenged by a disability, the whole family is challenged. Many families have been told by churches that they cannot care for their family member that sends the message, “Sorry, you are not welcome here.” We can prove that we care about these families by getting involved in their lives, inviting them to church, being prepared to receive them, and how they experience Central families embracing them. Befriend a family with special needs. Show them you care, take the family a meal, ask parents how you can reach out to their family member with special needs, adopt a family to encourage, fellowship with, and pray for. Invite them to your small group or simply be available to listen. Prayer is so powerful. By praying for their family members by name you can make a huge impact in their life. You can also help by specifically praying that we become sensitive to this growing community’s needs and how to best serve them. Pray for God’s direction and provision as we further develop these ministries. Contact Debbie at any time with questions or to learn more about getting connected.